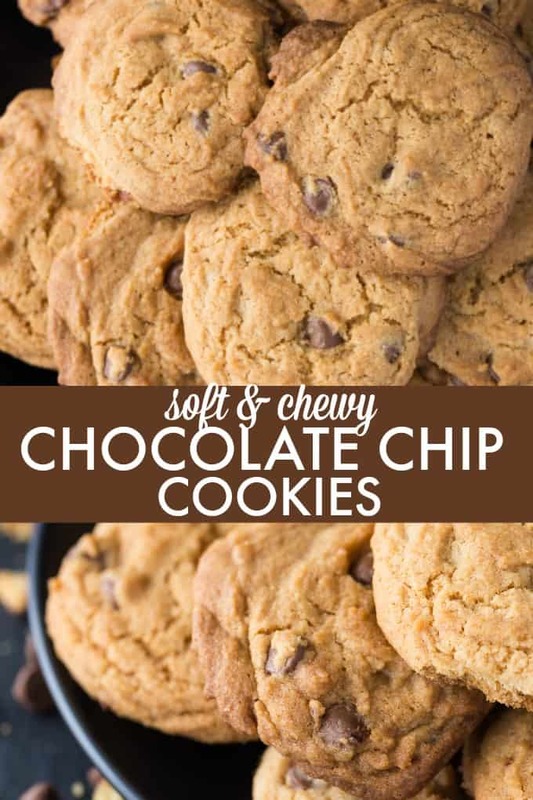 Looking for soft and chewy chocolate chip cookies? Here is one incredible recipe that we make over and over again. Rich, buttery, and the perfect combination of soft and chewy. Best of all tasty bits of chocolate chips in every single bite. 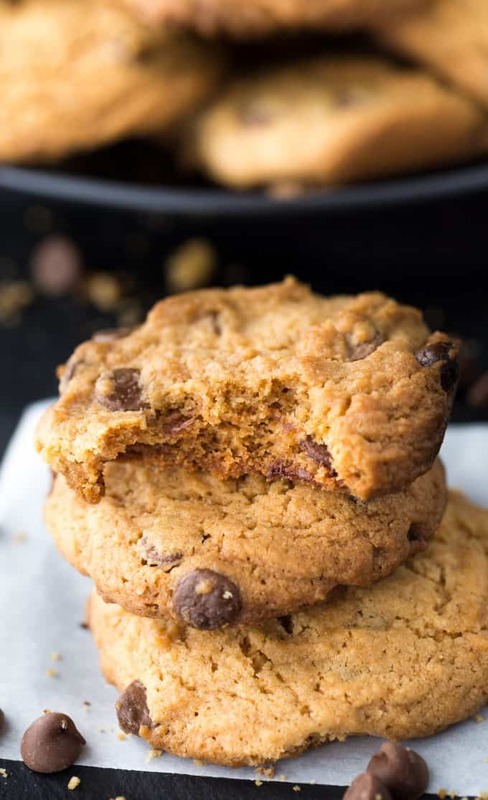 This is our favorite chocolate chip cookie that I recommend giving a try today. Bridget is quite the little baker and is always wanting to make recipes from my cookbooks. 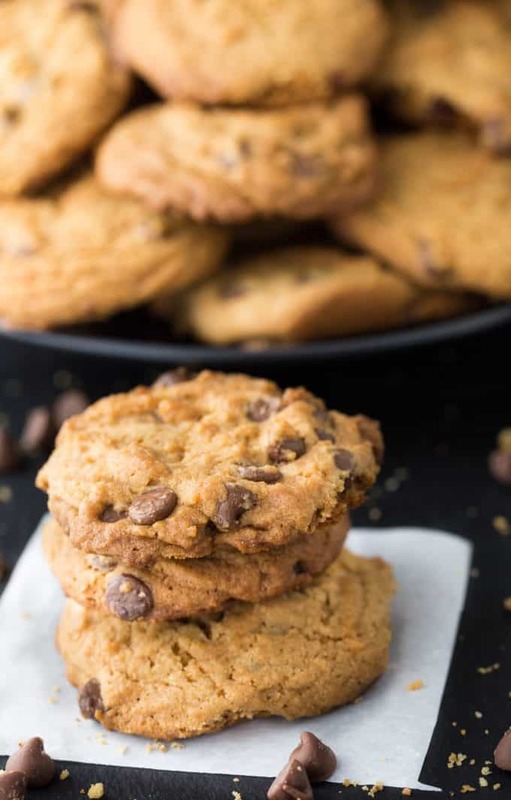 We recently made a few batches of Soft & Chewy Chocolate Chip Cookies, and they turned out beautifully! We had a blast spending time in the kitchen together, and the result of soft chocolate chip cookies was a nice treat. 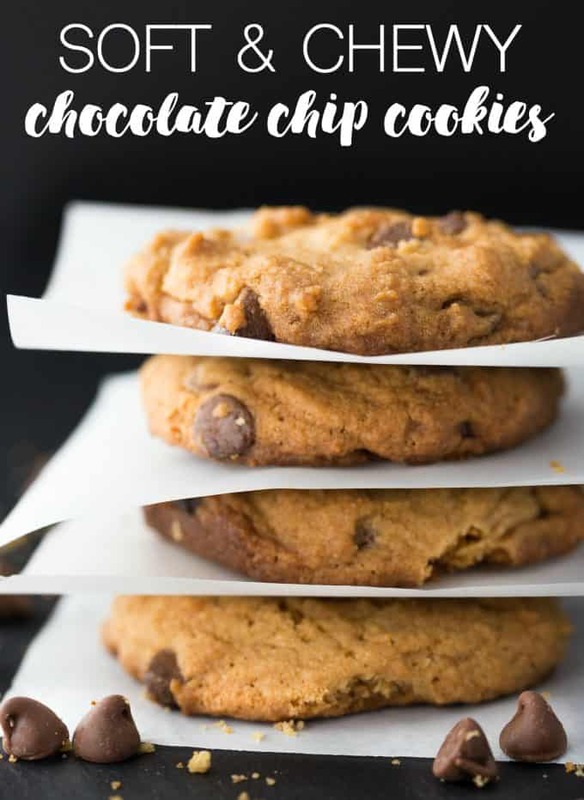 Let me share my tips and tricks I have learned about making chocolate chip cookies at home. With these questions answered it would help set you up for success every time. 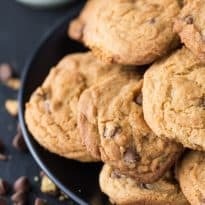 I use a cup of unsalted butter in this chocolate chip cookie recipe. The reason I recommend unsalted is that each salted butter will vary in flavor. If you grab a different brand than I used, you could end up with an overly salty cookie. So using unsalted, it allows you to control the salt used in the cookie recipe. If you do use salted butter, I would recommend not adding salt in and omitting it from the recipe. No for this recipe, you can whip up and bake. Some recipes do require you to chill the dough. But, in this case, you are good to go on grabbing your cookie scoop and making your balls and tossing in the oven. Start by mixing your butter, brown sugar and white sugar together. Allow it to become nice and creamed; this generally takes 2-3 minutes. Then add in your eggs, corn syrup, and vanilla and blend well. Slowly add in your flour, salt, and baking soda mix, until the dough is formed. Turn off blender and fold in chocolate chips. Scoop out cookies onto a cookie sheet and bake for around 15 minutes, or until cookies are cooked through. Invest in a cookie scoop. Having uniform cookies is not about appearance; it is about the baking process. When your cookies are the same size, you will get more of an even cookie. They will all bake up at the same time. If one cookie is larger than the other, it might be more doughy, while the other cookies are overdone. Line your cookie sheets with a Silpat mat or parchment paper. This will keep your cookies from sticking to the cookie sheet. Saves a lot of time and keeps your baking sheets nice. When your recipe needs to be softened or room temperature butter it is good to keep other ingredients room temperature as well. A cold egg could harden up that softened butter in your recipe. So just remember if one ingredient is room temperature stick to the rest being room temperature as well. Let your cookies come to room temperature and then place in an airtight container or even a sealable bag. Place half of a slice of bread in with the cookies. Don’t do more than half a slice. This will help keep your cookies nice and soft for days. Yes! Chocolate chip cookies freeze nice. I like to allow them to cool completely then place them in an airtight container or sealable freezer bag. Then place them in and toss in the freezer for up to three months. When you are ready to eat them, just thaw on the counter for a few hours, or heat them in the microwave. Just be careful with microwave cause it can quickly burn the chocolate chips. I do five-second intervals to ensure they don’t overcook. 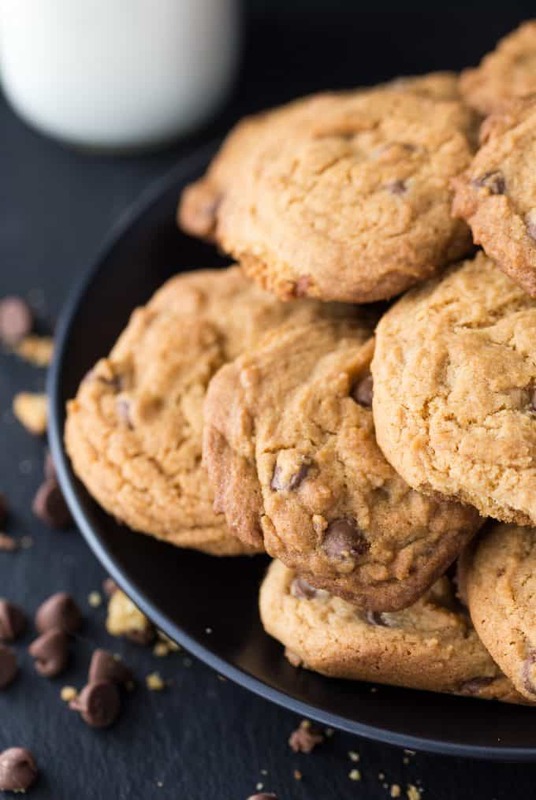 Are you a fan of homemade chocolate chip cookies? These are melt in your mouth good! In a large bowl, beat butter, brown sugar and white sugar. Add corn syrup, egg and vanilla and beat well. Stir together flour, baking soda and salt. Gradually add to butter mixture, beating until well blended. Stir in chips. Drop by rounded tablespoon onto ungreased cookie sheet. Bake 15 minutes or until lightly browned and almost set. Cool slightly and remove from cookie sheet to wire rack. Cool completely before serving. Those look oh so good. I haven’t made cookies in about a year. Usually I do a fair amount of baking in the winter but this year…not so much. I always like to try different recipes and I know I will make my son’s day when he comes home from school to a delicious plate of cookies. Thanks!! I have actually never heard of using corn syrup to make this – that may just be something different to me… but interesting none the less! They look so dainty…what size are your “drops” on the cookie sheet? Big Marble size? Golf ball size? They are about the size of a tbsp so closer to golf ball than marble. Those cookies look amazing. Thanks for sharing! Stopping by from Create and Crave. I love chocolate chip cookies that are soft. Crispy cookies are just not my thing! Can’t wait to give this recipe a try, pinning for later! Thank you for sharing this post on the Simply Sweet Home Linky Party. You are my choice for this week’s feature. I will be sharing your post on my blog http://www.stage-presents.com. Come by and check it out.